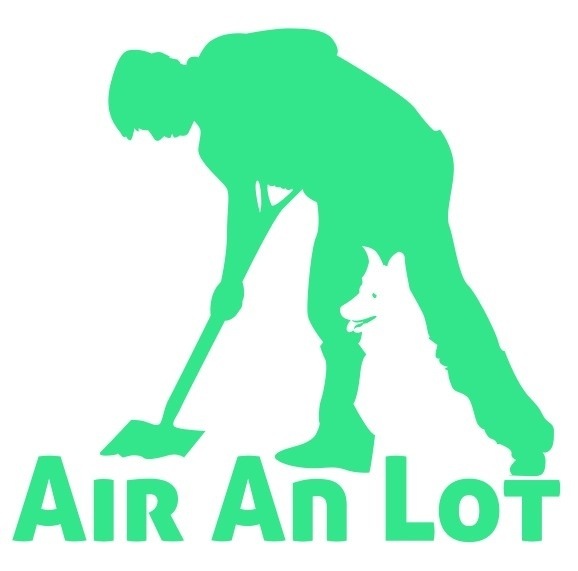 Many thanks to my mate Domhnall for designing a new logo for Air An Lot. I think 2014 will be a great year! You can see some of Domhnall’s other work here. Sometime you have moments of inspiration which surprise yourself. Yesterday, I had one of them. I was doing my usual Saturday morning chore of cleaning out the hen house floor. It’s covered in poo and saw dust, and takes a wee while cleaning it all out with the spade; maybe 15-20 minutes. Just as I was starting, I thought I might try and use the snow shovel that has been sitting unused in my utility room for the past 2 years. We’ve had no snow to talk of in that time, so I haven’t actually ever used it. 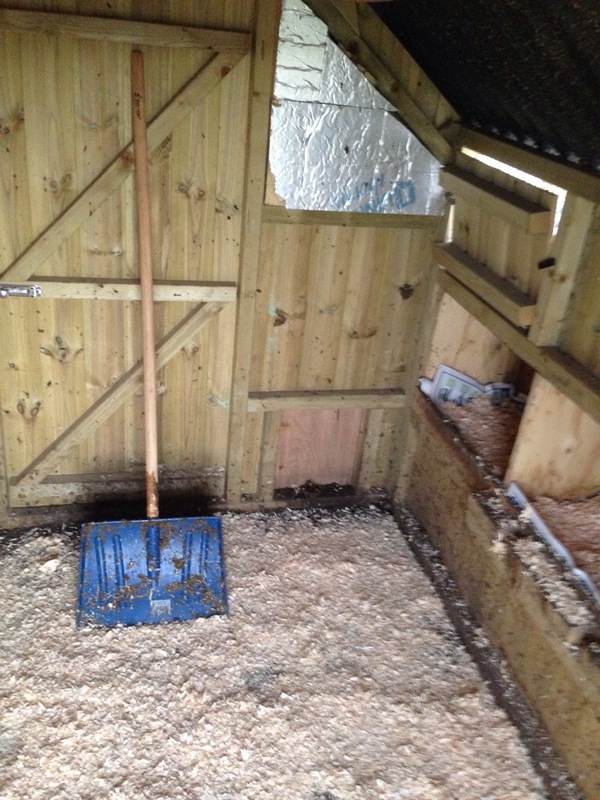 I thought the plastic might be a bit flimsy for the gunk on the hen house floor, but it was just perfect. I can’t describe how delighted I was! 5 minutes later, I had a pristine floor and it didn’t take long for me to lay down the fresh sawdust. This will make mucking out so much easier and I might actually enjoy it, when the weather starts to improve! The other plus point is that the eggs are coming thick & fast now, up to around 10 a day. 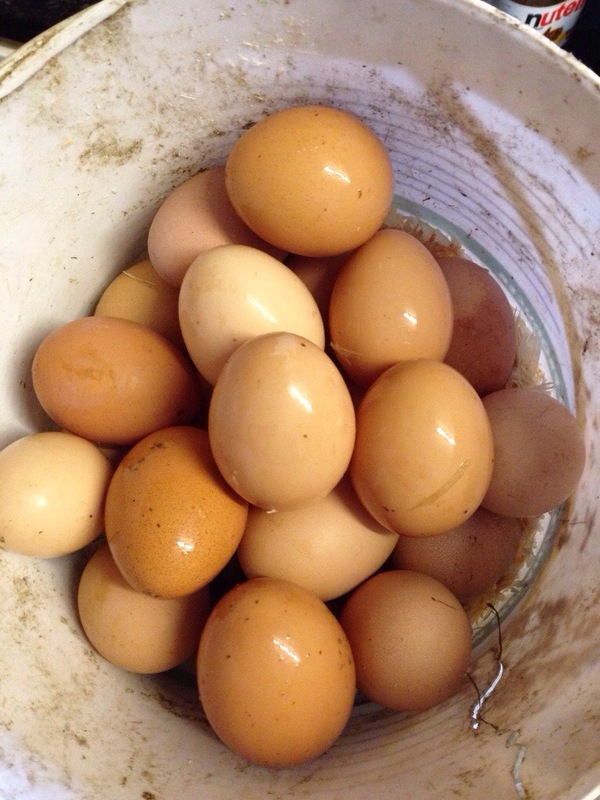 Won’t be long until the hens have paid off the hen house! As 2013 draws to an end, I thought I would do that typical thing of looking back at the year. It wasn’t the easiest of years on the croft, with many more losses over the last winter and my lamb prices being lower than previous years, but it was still an enjoyable one. It’s been another busy year, with a full time job, playing in goal for Ness F.C., vice-chair of the Social Club and my freelance media commitments. I’ve gone through my blog posts and chosen my favourite ones. I have chosen them because I liked them or because I think they are important for one reason or another. My first one is from January and is a video of Bud struggling to come to terms with the laminate flooring in the kitchen. 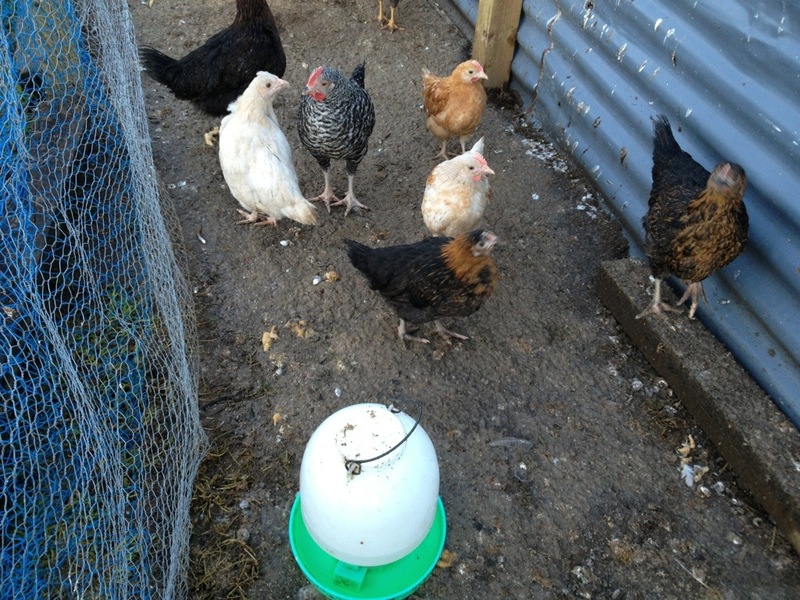 In February, I had a Buzzard attack some of my chickens. I haven’t chosen the post about the attack, but I’ve chosen the video I managed to get of the Buzzard returning a couple of days later, enticed by a chicken I had to cull. I think this was the single most viewed post in 2013, with thousands of views on facebook. I also used my incubator for the first time, it wasn’t as successful as I wished, but at least I got some chicks out of it. May is peat-cutting season, this year a group of us helped a neighbour who wasn’t able to cut his own. A very enjoyable evening for all of us. Now, I fancy myself as a bit of an amateur photographer and was quite chuffed with myself for getting these pictures of a cuckoo – a bird I had never actually seen in the flesh before, despite hearing them all my life. Every now and again, something happens that reminds you how susceptible livestock are. In June, one of my older ewes had her eye removed by a black-backed gull. Don’t look if you’re too squeamish. The sheep is fine, and still with us. My egg-laying empire took a big step forward this year, with the introduction of my new hen house. I had to assemble it myself and I also got a 60% CCAGS grant for it (which I am still to claim), otherwise it wouldn’t have been viable. I ended up with an extra cat for a few days in September (can’t believe it was that long ago). She was a stray but has successfully been rehomed, elsewhere in Ness. 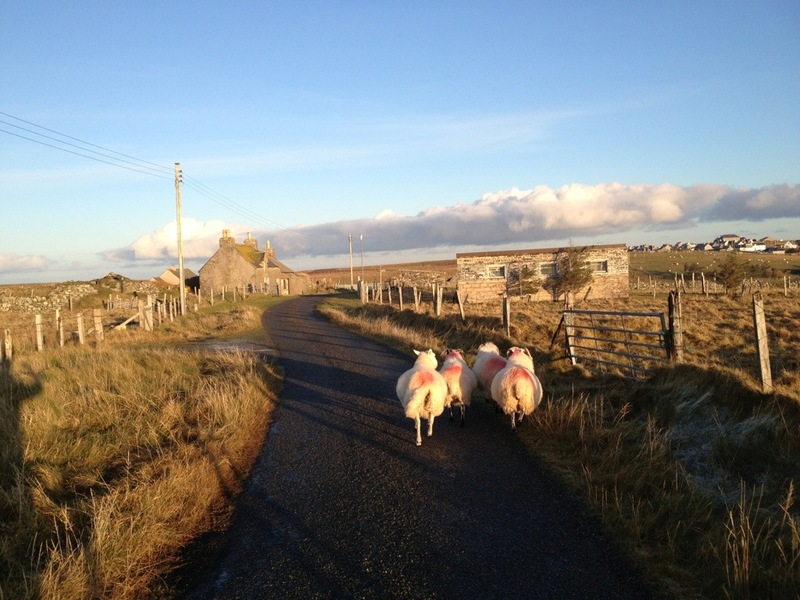 One of the most important acts in the crofting year – releasing the rams. This needs no further explanation! 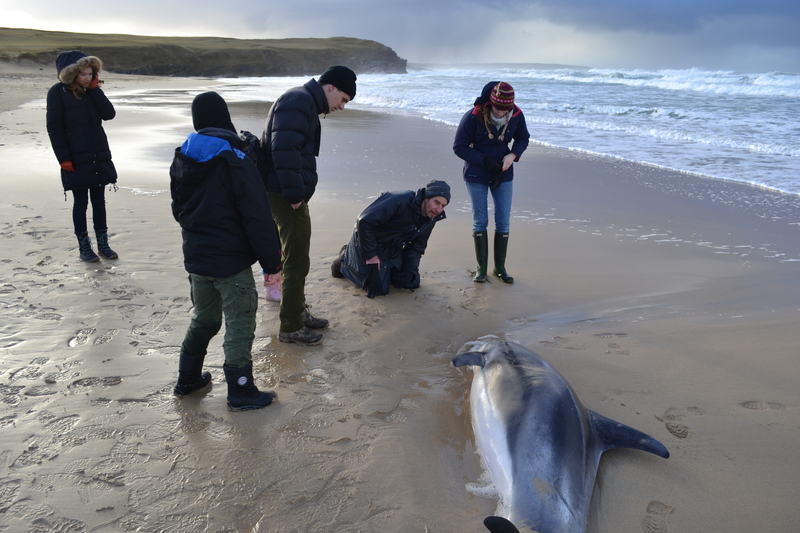 I received a phonecall from the BBC shortly after 12pm, telling me about a stranded dolphin on Traigh Shanndaigh, the beach in Eoropie. Off I went, armed with my camera, to see what the situation was. 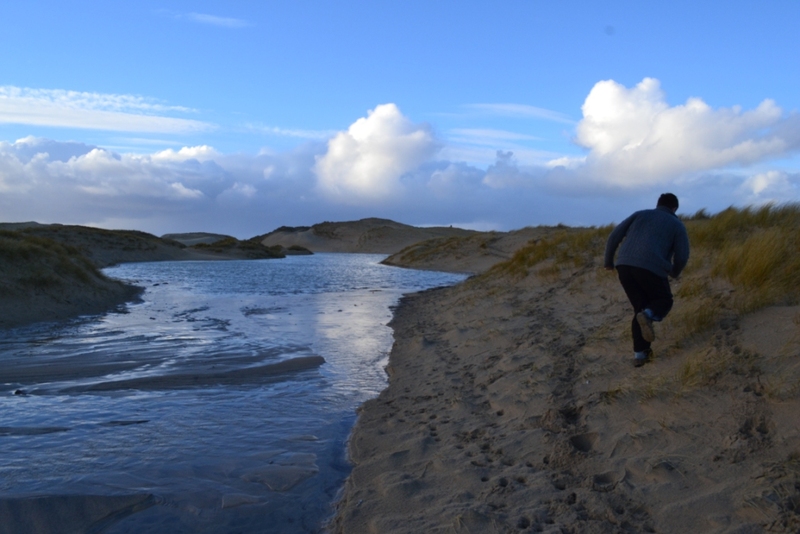 The beach isn’t accessible by vehicle, so we had to walk/run maybe 1/4 mile to get there (my brother Innes was with me). There were a few people about, and one local, Shona Morrison, told me that the vet, SSPCA and British Divers Marine Life Rescue (BDMLR) had all been informed. The dolphin had more than likely been on the beach since high tide on Wednesday night, maybe 11ish pm. No obvious injuries but it seemed to be exhausted, as you would probably guess. Trevor from BDMLR was first on site and started thinking about how it would get refloated, although decision on the welfare of the animal was to be the vet’s decision. Hector, the vet, wasn’t far off. 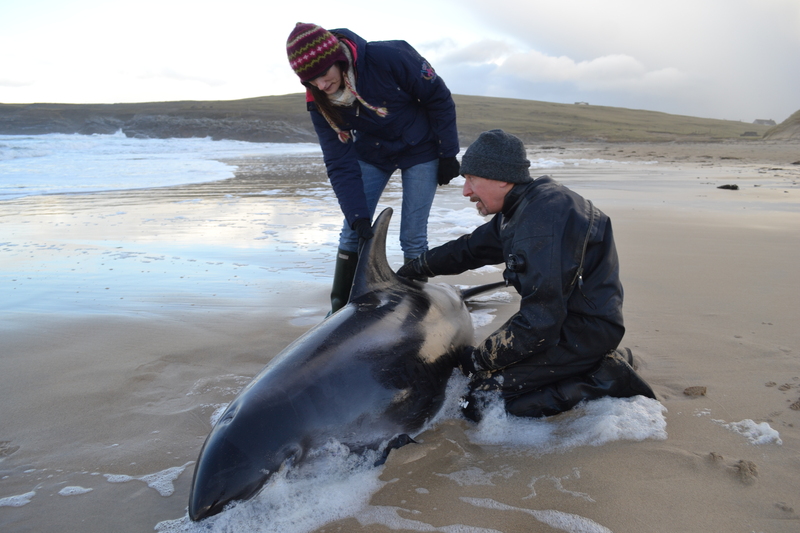 Experienced in this situation (he mentioned dealing with 7 or 8 Sperm Whale strandings), his first reaction was that the sea was far too rough to consider releasing an exhausted dolphin into the breaking waves. After examining the dolphin, a male White Beaked Dolphin, it was considered to be in poor condition. There was some discussion about moving it to Port of Ness harbour, to release it there, but the stress would probably have been too much for it. 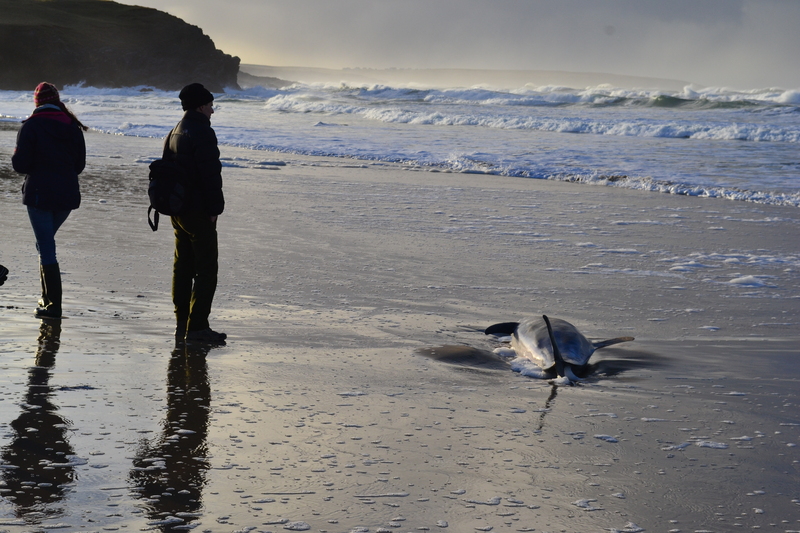 The fact that the dolphin was on the high water mark was another indication that it was more than likely sick or injured and that it was washed ashore, rather than stranded. The only option was euthanasia and by the time Hector had returned with the necessary equipment, the dolphin seemed to have given up the ghost and was fading fast – in my opinion. Sad end to a lovely animal. First time I’ve been as close to a live one. Here is a video of what happened. This week we are holding the first ever Guga Eating Championship in Ness. It is being organised by the Ness FC Social Club, of which I am vice-chair, and it has made me think about the way the Guga (and hunt) is perceived outwith these islands. For anyone unfamiliar with the Guga Hunt, you can have a look at the BBC documentary that was broadcast in 2011, photos from my trip to Sulageir this summer, and here is my own post about Super Guga Saturday. The Hunt is still as fiercely defended in Ness as it ever was, although criticism of it today seems to arise from far-off places, from people who appear to have little clue what they are talking about. I suppose it is a sign of the times and the reactionary social media culture that we have, that these ‘campaigns’ raise their heads, disappearing as quickly as they appear. Personally, I steer clear of all kinds of online campaigns. People think they are making a difference by supporting a campaign, or signing a petition, but they usually have little, or no impact. Fortunately, that is the case with the Guga. I don’t believe there is any danger at all of the license granted to the Guga Hunters of Ness being revoked, and the ill-informed rants that appear don’t worry me at all, only anger me. There was one in 2010 that read “The guga hunt is not vital to the inhabitants of Sula Sgeir.”. Of course it’s not vital to the inhabitants of Sulasgeir. Sulasgeir doesn’t HAVE any human inhabitants; it is merely a rock in the middle of the North Atlantic! This kind of behaviour isn’t restricted to the Guga, though. One of my favourite examples are the comments in this blog post Highlighting beautifully some of the ludicrous arguments that are put forth. The most popular argument used is that the Hunt is “barbaric” and that the animals suffer. Now, I am an animal lover. I rear plenty myself and care about their welfare. I personally have no issue at all with the methods used to dispatch the Guga and I know, from my time working there, that the RSPB locally have no issues with it, just as the local vet and local SSPCA have no issue with it. Those who criticise it are themselves often guilty of extreme hypocrisy; happy enough to eat their intensively reared chicken, pork or any other meat, without thinking about how it lived, where it was reared and how it was killed. The population as a whole seems to be increasingly detached from where their food comes from, and it takes something like the horse meat situation to highlight how little people think about what they eat. The best a comment I have seen from a do-gooder, was questioning a crofter as to why on earth a pig had to die to provide his family with food, when he could go down to the supermarket and buy sausages like a normal person. Yes, I know. Ludicrous. To the critics, I often reply with a series of questions: what about all those poor fish who suffocate on boats? What about the deer/rabbits/game birds that are shot and possibly not killed instantly? What about pigs who spend their lives in a crate? Out of sight, out of mind. So, back to the first ever World Guga Eating Championships. Yes, the ‘World’ part is tongue-in-cheek and the event is a celebration of all things Niseach. We are so proud of where we are from, we have a strong identity as Ness-folk and the Guga is a big part of that. I for one cannot wait! By Innes Macsween, Domhnall’s brother. I’m guest-writing this article for Air An Lot seeing as I was the crofter for the day instead of my brother, who was at work and directing my chores via text. 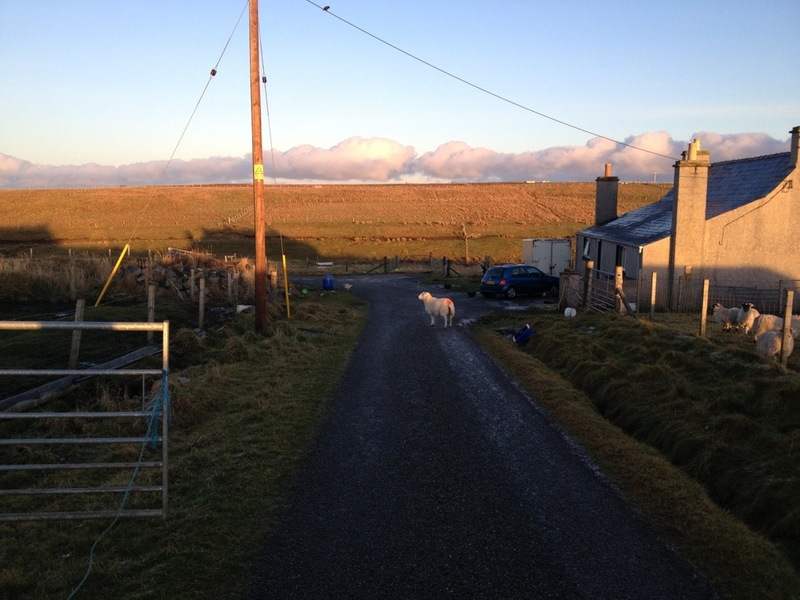 This crofting duty via texts/pleas/threats is a frequent occurrence, but as part of the sweetener to get me out of bed this morning, my brother, perhaps foolishly, offered me the chance to blog about my crofting day. I thought that unwrapping the flip side of my brother’s passion with that of an unenthusiastic crofter would make for interesting comparison. My brother Domhnall has been fanatic about the croft for as many years as I can remember. His blog is testimony to this, and it quite accurately mirrors his real life commitment to his overgrown role as our family crofter. I’m not him, so I don’t know when it started, but it started well before I came onto the scene (I’m 6 years younger than him). Today, he asked me to find 4 sheep that had escaped past one of his notsheepproof gates, as well as to give water to the chicks and move some sheep from one section to another. Simple stuff really. As I walked along the back roads looking for these sheep, I was completely relaxed and was finding the experience rather peaceful. Let me assure you, this is not how I usually feel. Unlike Domhnall, I have absolutely no love for animals. I genuinely don’t know what’s wrong with me, or why this widespread empathy or love never developed, but I don’t care one iota for animals, and most especially the thickest of them all…the dreaded sheep. This does not mean that I would ever hurt them – far from it, I would hate to see any creature suffer. I am also well aware of being an anomaly in most of society, not deriving a moment’s peace or joy from any animals whatsoever – apart from the distant aesthetic values of cooler animals like lions, tigers, penguins, elephants, etc. However, I believe Domhnall was given the most attention as a youngster in regards to working with the animals, and had first priority as firstborn when it came doing the “manly” chores. 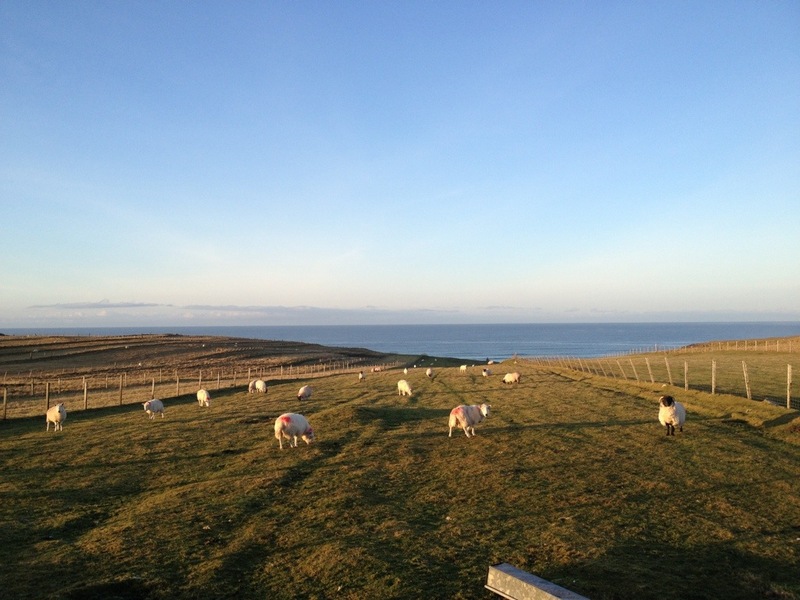 Our second brother, Murdo, probably falls in line with my view, eschewing EVER wanting to work with sheep ever again, and I often ponder this phenomenon, where the oldest brother took all of the passion/empathy/talent and the rest of us took exactly the opposite desire. I found the sheep, and guided them back down the hill. All was going well – I have a very short fuse when it comes to sheep, invoking my impatience and my frustrations with animals that cannot just do what you want them to do – and this time they went down the road amicably. I put them into my brother’s desired section of his croft, and then went off to get new water for the chicks. The water keeps freezing because of the conditions, and needs occasional shaking to dislodge ice blockages, so to make sure the chicks are being watered I chose to change the water carefully. Chickens and chicks don’t frustrate me as much as sheep, simply due to their size (you can pick them up), their friendliness (they’ll follow you around), and the immediate benefits (frequent eggs). I still don’t love them, but I can gladly put up with them. As soon as this was done, Domhnall texted with further duties. Obviously, this annoyed me. It’s not an annoyance born from a feeling of entitlement or laziness – I just don’t care at all about the work I’m meant to be doing. It often strikes me, the difference between brothers, and I ponder the divergence of our paths. He was always the privileged one of the croft, and by the time Murdo and I came to age Domhnall had been taught many of the necessary tricks of the trade: the common sense of what to do; the names of the tools in Gaelic; the techniques; the exact nicknames and faces of the older men working with him; the order of duties; the practical application and graft. An historical attachment, seeing and feeling a clear link to the past, and to our forefathers, when having the traditions of our ancestors passed on to us. I have none of these things, apart from a general idea of the long-term perspective of future benefits – which is the only reason I even help out at all ‘air an lot’. I do believe that, unfortunately, since my grandfather died before I was born, and then since Domhnall grew in command and responsibility on the croft, I missed out on the same factors that were so evident in his life. Having your older brother bark orders at you constantly and getting dramatically riled at your mistakes invariably and using you as a sheepdog regularly becomes very grating for a young teenager who feels neither a practical, heartfelt or historical connection to these dumb animals in front of him, and wants nothing more than to go home and play Pokemon on his Gameboy (ironically, to nurture fictional battling animals). Back to the point at hand, I moved another collection of sheep from section 3 back to section 1. One new sheep had escaped. I spent 30 minutes chasing it, coaxing it, opening other gates (as you can see in the picture) and generally trying to get it back into the desired section. It did exactly the dumbest and wrong thing at each point. I felt so angry and frustrated at the sheer stupidity of that sheep that I ended up letting it run into the wrong section of my mother’s croft, and then closing the gate and leaving the scene of the crime. I had had enough. Totally fed up of sheep, once again. That’s my experience with animals and the croft in a nutshell. Perfectly harmless, and then I just get irrevocably annoyed with the beastly instincts of animals. I do wish I had a heart for animals, because everyone looks at me like I’m a terrorist whenever I admit my utter aversion to all animals. But that was my day ‘air an lot’. No doubt, with Domhnall, it won’t be my last. The pigs are now long gone, but it will be a few more days before we get the meat. Once an animal is slaughtered, it is left to hang for a period of time. This ranges, depending on the animal, from 1-4 weeks (roughly). I’ve never had cattle, but they hang for longest, while sheep a little less. I’ve heard stories about game hanging for a while as well – apparently some people don’t think their venison is ready until they’ve wiped green mould off the carcass and pheasants (I think) are supposed to be hung by the head until the body falls away! When home-killing was legal, and commonplace, I remember walking into the barn and there would be 2-3 sheep carcasses hanging there. The hanging process makes the meat more tender and improves flavour. ANYWAY, enough of that – and I won’t mention what used to happen to the sheeps’ heads! The pigs will hang for a week in the slaughterhouse, then they will be butchered. I spoke to the butcher on Wednesday evening, he will pick them up from the slaughterhouse on Tuesday or Wednesday next week and process them. We will get the usual joints for roasting and plenty chops from each animal. We slaughtered two pigs last year and, if memory serves me, I think we got 80+ chops and about 28 roasts from them – as well as approximately 600 sausages. There won’t be as many sausages this year, because I put all of the belly pork from one last year into sausage meat – not as easy when it’s only one. total is around £240. Not the cheapest way of doing it, but the quality of the meat is far superior to what you can buy elsewhere.